Both my wife, as well as my former boss referred me to Star Trek themed thoughts on how to approach marketing. When they both agree, I tend to listen. While I did not grow up watching Star Trek, I did catch on. 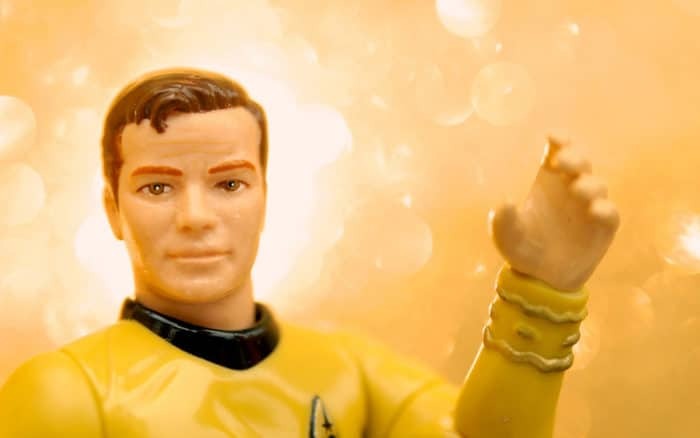 Alex Knapp’s article about the Five Leadership Lessons From James T. Kirk, was just too tempting not to revel in the opportunity to share those ideas with a marketing technology and operational mindset. Intuition and experience cannot overcome constant change in marketing. In the missions into the unknown, Kirk always amazed us at his knowledge of species, history, science and technical prowess. However you never find him just leaving it all up to Spock to explore. In a marketing operations role, you are managing a dizzying array of technology, processes, marketing/sales techniques and best practices. Taking the time to learn about new solutions and experiment with new techniques is critical. Habitual learning is inherit to the job and essential in gaining entrance into Starfleet. Bones (Dr. McCoy) and Spock often had different perspectives. Kirk sometimes goes with one or the other, either validating his current assumptions or providing new insight. The point here (and what Knapp mentions) is the importance of avoiding group-think. In marketing operations, we tend to get stuck in the same grind, hearing the same “thoughts” from leadership. Your goal is to adapt to your organizational needs and situation -of which no two are alike. It never hurts to get a second opinion or independent consultation. Remember to be decisive, otherwise you’ll end up in analysis paralysis and caught off guard by the Klingons. Kirk was a hands-on leader, but he had broad experience and an intuitive knowledge of other areas of the ship. As a hub and spoke representative of marketing, you play ambassador (sometimes even making first contact) with other departments such as sales, IT, finance, development and customer service. Be proactive by meeting and learning about their issues/concerns can help you expedite tasks, avoid misunderstandings and even help develop an alignment to squeeze more power out of the ship. Kirk doesn’t believe in no-win situations and proves this by changing the parameters of the situation. I love both games. Chess is played on a well defined board where everything in the game is known. Poker has an element of the unknown and often requires mixing observation, statistics and experimentation to gain the upper hand on your opponent. The opponent in marketing is not only market competition, but the ever-changing internal ecosystem of people, process, technology and information. There is room for discipline and creative thought… both are needed to meet your goals. Take risks and try different things, but always keep in mind that you are working to grow your winnings. In a sense, Kirk felt that keeping the ship was always a part of his no-win philosophy. However, one of the most difficult things he had to do was blow up the Enterprise to save the crew. For marketing, regularly evolving the ecosystem is a necessary part of sustaining growing revenue and accomplishing new goals. What may have been the “right” solution 3 years ago may not be well suited for today’s situation. Do keep questioning how you can constantly improve and evaluate new solutions and tactics. Eventually, your operations could cost more to maintain the ship than build another with better upgrades! Change management is a key skill for marketing operations and with everything on your plate, it doesn’t hurt to seek external help once in a while to help rebuild the next generation of marketing.